Seltún geothermal field / Andrew Bowden, Flickr. CC BY-SA 2.0. It takes just half an hour to drive from Reykjavík to the spectacular Krysuvik – Seltun geothermal area, where the volcanic heat has formed thermal springs, steam vents, mud pots and solfataras. This geothermal area has formed on the great divide between Europe and America – fissure zone of Mid-Atlantic Ridge. 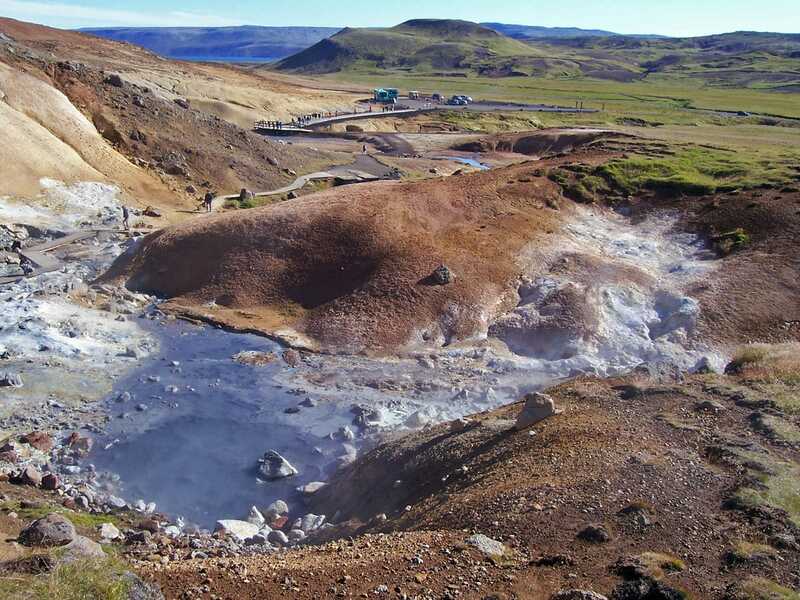 Several geothermal fields – Seltún, Hverahvammur, Hverahlíð and Austurengjar – here are located close together, each with its own charm and specifics. Several eruptions have taken place in this area since the arrival of people to Iceland. 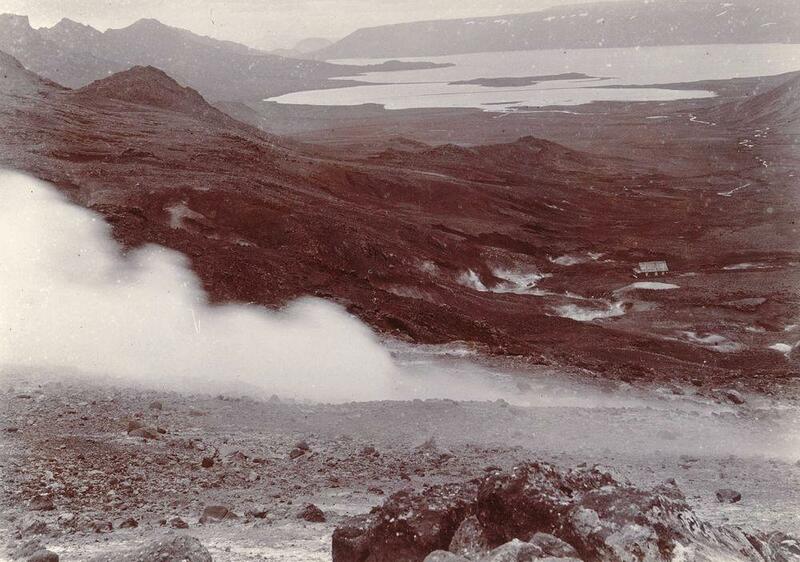 Large eruption of Ogmundargigar volcano took place several kilometres from Krysuvik in 1151. Lava reached the ocean then. Last eruptions in this area took place in the 14th century. Boiling mud pots in Krysuvik / Steve Hicks, Flickr. CC BY 2.0. The site is well known for practical reasons: sulphur mining started here in 1722 – 1728 and was renewed in the 19th century. 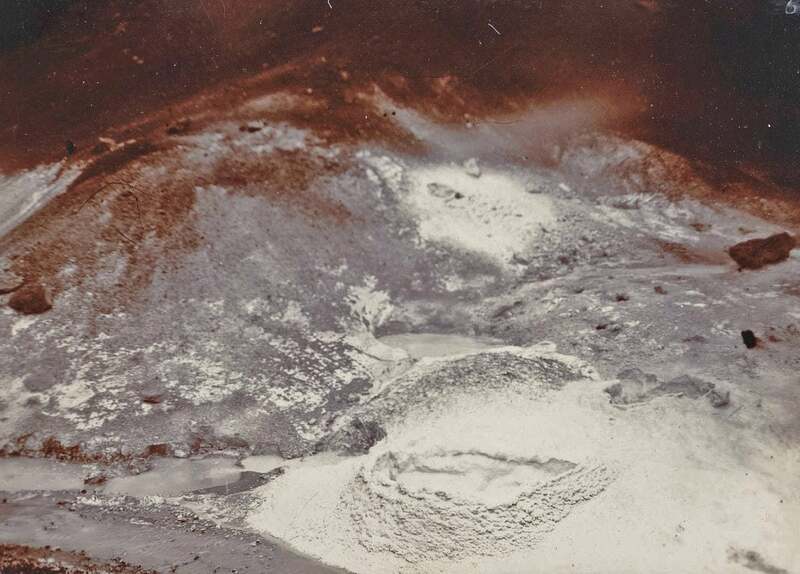 Krysuvik has left its impact on the science – German scientist Robert Bunsen visited this site in 1845 and, basing on research of solfatara, proposed a hypothesis on formation of sulphuric acid in nature. 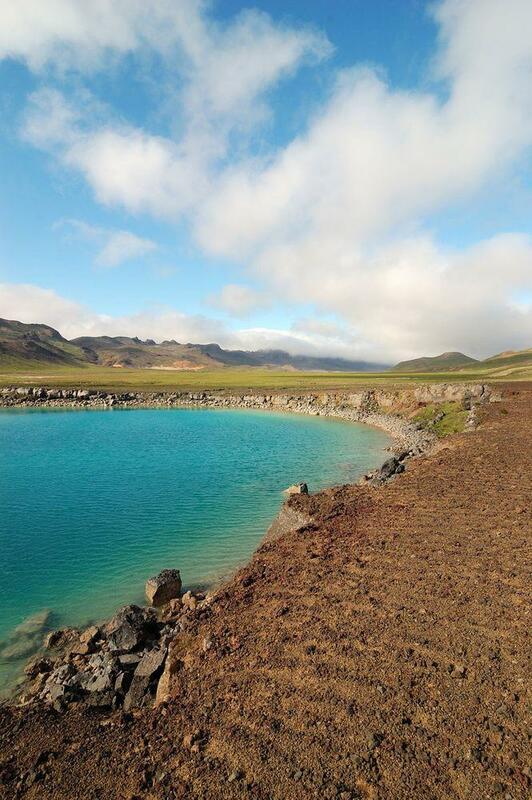 Near the geothermal fields are located several maars – rounded lakes. They were formed by explosions, caused by the overheated steam of groundwater. The largest among them is Grænavatn – up to 46 m deep and 350 m wide, emerald colored lake. Somewhat smaller is Gestsstaðavatn – another maar. Grænavatn – lake with the weird color / Rosino, Flickr. CC BY-SA 2.0. People would be glad to harness geothermal power that close to Reykjavík – but this is not easy at all. Some exploration boreholes have been made in the early 1970s – but the rebellios geothermal forces sneered at explorers. One such borehole has turned into a geyser – it started irregular eruptions in 2010. Another borehole blew up itself in 1999 – now here is a crater with 30 m diameter. The explosion blew away a small building – cafe for tourists. Happily no one was there. Since this spectacular accident the appetite for exploration and energy production has decreased here. No one is sure what will happen here next. This place is dangerous – but beautiful and amazing (albeit smells a lot). Sulphuric water and gases have created colorful deposits, the soil is colored in green, yellow and red colors. 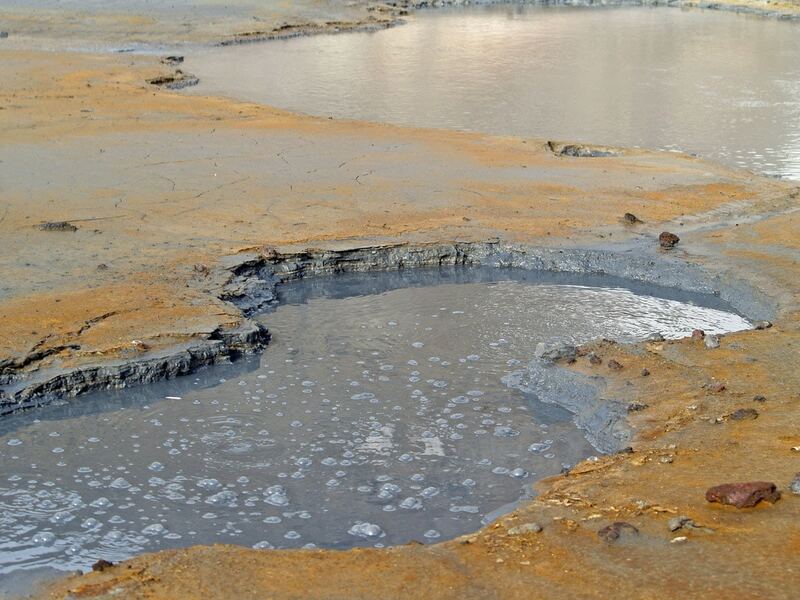 Visitors can wonder at hissing solfataras, fumaroles and boiling mud pots, where the soil is mixed with acid. Wooden pathways have been built for tourists – it happens that land movements may damage the pathways here and there, but diligent Icelanders soon repair them. Come and see this beauty – most likely you won’t stand on the pathway in the moment when a new maar is born with a spectacular explosion. Augun (Eyes) (63.878726, -22.055875) – two small maar lakes in both sides of the road. Fúlipollur mud spring (63.893400, -22.051638) is located south from the road. Gestsstaðavatn (63.883741, -22.064374) – elongated maar with lake in it. Grænavatn (63.884570, -22.055020) – maar, up to 46 m deep and 350 m wide, emerald colored lake. The weird color of the lake is caused by algae living in thermal water and small particles. Krysuvik sulphur springs (63.891986, -22.065842) – the site of the old sulphur mines. Seltun (63.896115, -22.054489) – spectacular solfataras, colored soil, boiling mud pots. 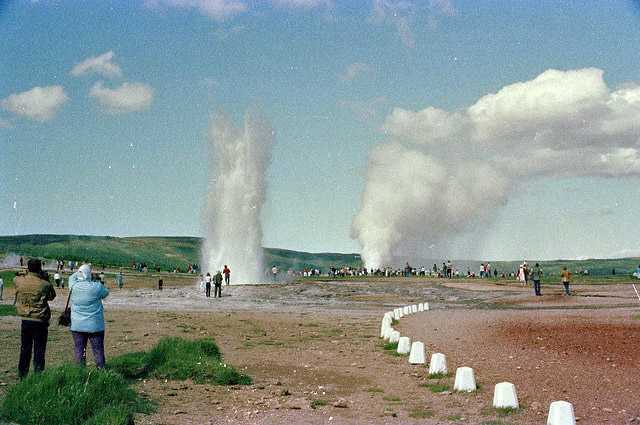 Good quality image of artificial geyser by mdetay, taken in July 2000. Accessed on July 12, 2011. Gullfoss / WoSie, Wikimedia Commons / CC-BY-2.5. Iceland is very rich with peculiar natural landmarks and the island contains also interesting cultural landmarks. 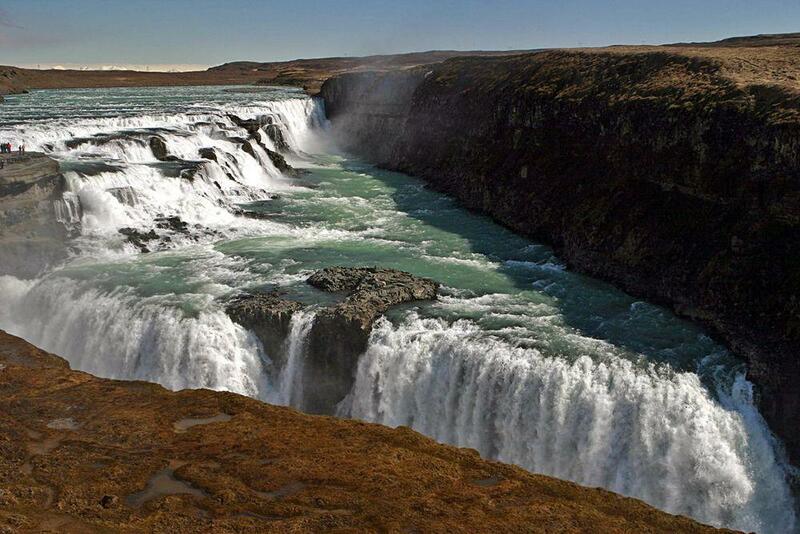 The highlights of Iceland are the magnificent waterfalls as well as geysers and other geothermal features. Geysir and Strokkur erupting simultaneously, June 1984 / Roger Goodman, Flickr.CC BY-SA 2.0. Iceland Travel Guide Introduction This book includes all the necessary links for an easy journey to your Icelandic adventure. To make your Iceland travel more entertaining and full of all of the things that you want, you’ll see a step-by-step route around the entire country, indicating the distance in miles, accommodations, recreation, entertainment, shopping and much more. This Iceland travel guide will be the perfect companion to see all of the hottest spots, like Blue Lagoon, Iceland and other must-sees. This is the first book describing the glorious geology of Iceland’s Golden Circle and four additional excursions:(1) the beautiful valleys and mountains of the fjord of Hvalfjördur, (2) the unique landscape and geothermal fields of the Hengill Volcano, (3) the explosion craters, volcanic fissures, and lava fields of the Reykjanes Peninsula, and (4) the volcanoes (Hekla, Eyjafjallajökull, Katla), waterfalls, sandur plains, and rock columns of South Iceland. The Golden Circle offers a unique opportunity to observe and understand many of our planet’s forces in action.